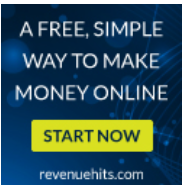 Get paid online with a Business Website. Get Cash as a wedding gift with a Wedding Website. Get Cash as a birthday gift with a Birthday Website. Get Cash for your baby with a Baby Shower Website. Get paid online with a Business Website. Get Cash as a wedding gift with a Wedding Website. Get Cash as a birthday gift with a Birthday Website. Get Cash for your baby with a Baby Shower Website.